Years after the Spanish conquest, the Urubamba Valley was a refuge and resting place of the Incas of Vilcabamba , who could resist a few decades to Spanish rule after the Inca capital was conquered . The llactas (villages ) were the best proof of the imperial spirit of the Incas , Machu Picchu was a llacta, it played a very important and special role ,it was the onlyone away around the Capac Nan,it was built on an isolated and impregnable place of land of Pachacutec. It was the most beautiful of the whole empire llacta , roads leading to the citadel were secret, no one could know , its location was very secret , the rugged mountains and deep ravines were the best natural defense. As in every major llacta could not miss the acllawasi ( house of the chosen ) A intihuatana or sun dial , kallancas or property of warriors, baths, aqueducts and huge areas with terraces for crops. 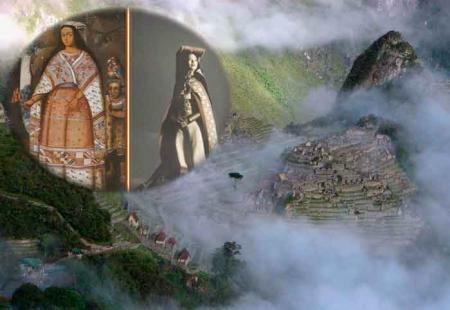 But to conquer Machu Picchu was already abandoned , and then closed after the death of the sovereign " Pachacutec " . Other theories suggest that the antis , ( Amazonian groups ) considered the worst enemy of the Inca, were those who held a mass slaughter of the Incas , a theory that is not entirely true . With the death of Atahualpa at the hands of Pizarro , and nothing made sense after the collapse of a great empire , acllas fled , the magnificent architecture and hydraulics do not interest all the conquerors , the ways of the great Inca Trail hike served only if led to gold or valuable minerals , with the passage of time Machu Picchu was forgotten until the twentieth century. After the arrival of the Spaniards in the product of a war between Huascar and Atahualpa time.